The City Council voted to move a citizens' initiative concerning the San Diego Convention Center expansion to the March 2020 primary. The council passed the vote 5 to 4. The vote was originally scheduled for the November 2020 ballot, but Mayor Kevin Faulconer thought it would have a better chance of passing in March. Opponents argue that Proposition L, which passed in 2016, mandates the city put citizens' initiatives on November general election ballots when more people vote. But Proposition L allows the City Council to vote to move items between elections, which it did Monday. Come March, voters will decide whether a hotel room tax should be implemented to raise funds for a convention center expansion project, increased homeless services and road repair. 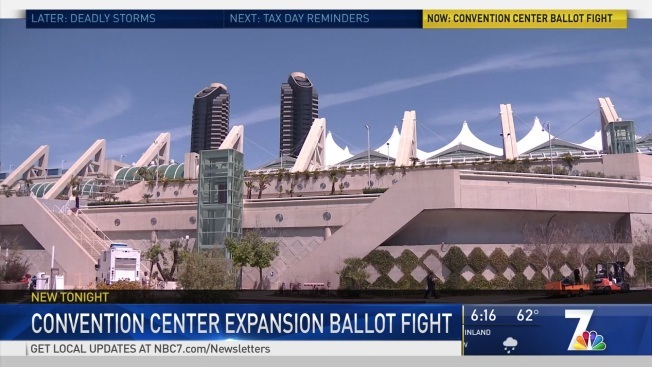 Faulconer attempted to have a special election decide the fate of a convention center expansion project last year, but the city council shot that down. He also tried to get it on the November 2018 ballot but they shot that down too.